Normal Cylindrical Bushes, Grooves, Oil Holes, Slots, Etc. Bi-METALLIC BEARINGS high-performance metallic bearing materials solve a host of problems that plague sliding parts. VIIPLUS the plain bearings Industrial Solutions segment includes some of its first.Agri Produce industry sliding bearings, Crop self-lubricating bearings Solutions, and Livestock bushing Solutions – are dedicated to this major industry. are mainly used in agricultural machinery, conveying installations and construction machinery. This is a bimetal bearing material in which aluminum alloy and copper alloy comprise a two- or three-layer structure with a steel backing. This structure, whose mechanical strength is high, can be used under lubricated conditions and high-speed/high-load operation. It can be made from a variety of different materials, depending on the application, use conditions and lubrication. We are constantly exploring the technical aspects of sliding bearings such as friction, wear, and lubrication in depth, to develop products that anticipate and meet the needs of the times. 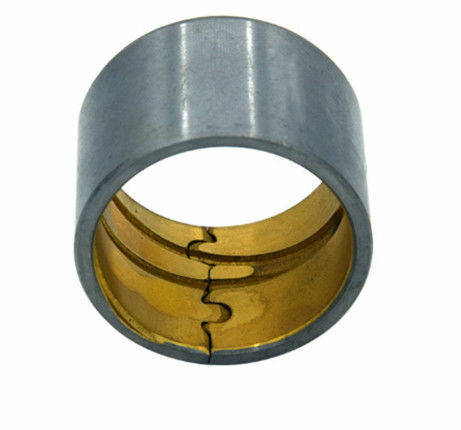 Agricultural Machinery bushings.The most popular components that the self-lubricating bearings could be used are the cylinders, suspension system and the connection joints where the oil or grease is hard to access.The specific maintanance free characteristics of the self-lubricating bearings and the wear resistance feature when used outdoor allow the bearings to be widely applicated in the combine harvestor, planters, Strapping machines, pulverizers and tractors. 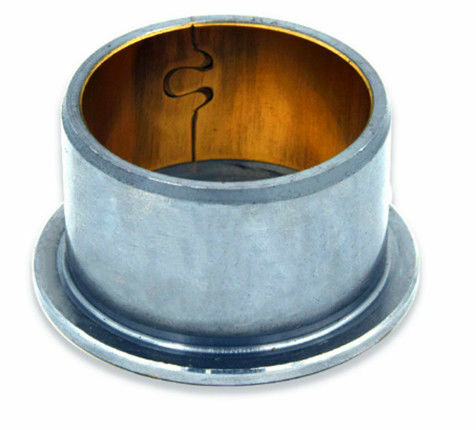 This bearing is the kind of Flange bush with the steel backing sintered with bronze powder through the friction welding. The surface may be incorporated with various kinds of oil grooves, pockets to meet different necessities of various lubricating conditions. VIIPLUS has a great selection of bronze sleeve bearings. Choose from small series, standard series, PTFE lined types. Check out our new split-type sleeve bearings which have a composite liner that consists of a carbon steel backing. Solid or graphite plug bronze bar stock is also available. Place your order today. 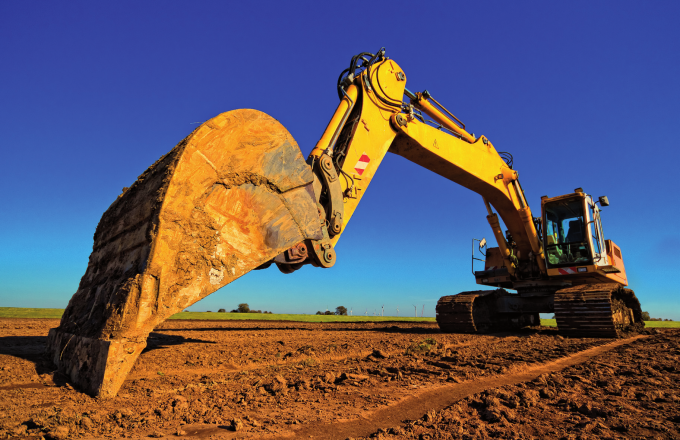 Viiplus bearings are mainly used in agricultural machinery, conveying installations andconstruction machinery. Usually applied to the conditions of lower loading and lower rotation speed, such as bearingsof conveyor, wheels of bicycle, agricultural machinery, packing machine and furniture. Hydraulic bushing bearing blocks used in high pressure gear pump and motor applications. 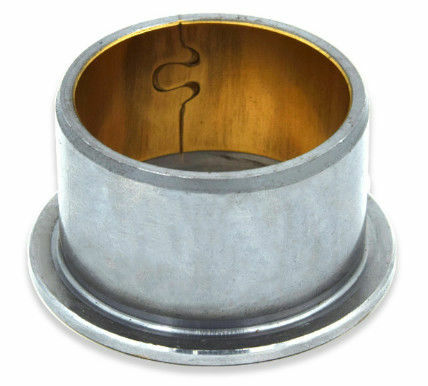 Along with many other types of solid bronze bushing and graphite plug bushings are available here. If you need more information about our Bi Metal Bushings or would like to discuss how our Steel backed Bronze Bushings can be manufactured to your requirements please contact us. Steel backed Bronze, PTFE ,Bi-Metal , PTEE, POM, Aluminum, Bronze, Graphite plugged, Stainless Steel 316 and Stainless Steel 304 Bushings. On its surface. To effectively decrease abrasion, its alloy surface can be machined with ball shaped oil sockets for easier oil storage. When necessary, it could be plated copper or tin on the steel back. It can be applied to conditions of mediate load with mediate or high running belocity and conditions with enormous impact load. 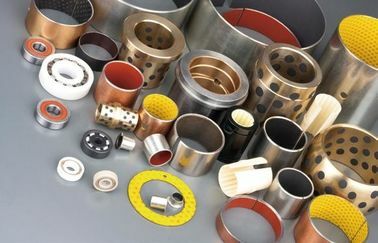 In mechanical applications,VIIPLUS BIMETAL BRONZE GLEITLAGER is used to make wrapped bushes, thrust washer and bushes on connecting rod level of gas engine.